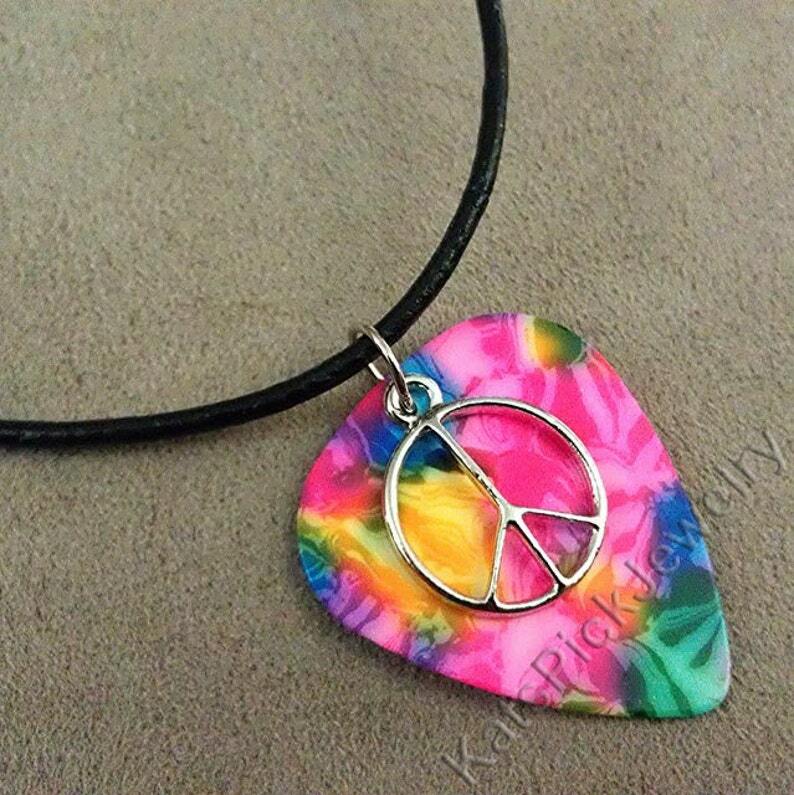 Nickel free guitar charm on genuine guitar pick necklace. If you see another color in the second photo you would rather have your necklace made with, just let me know at checkout. Everything in my Etsy store is modular...choose your pick, charm (or you can do without), and necklace chain type and I'll make it for you. I love doing custom work, so feel free to inquire! If you need a different quantity than what is listed, message me and I can make a listing with what you need.